A jumbled heap of stones, looking as if they were hurled to the ground by some great natural catastrophe, is all that remains of Puma Puncu, one of the citys largest buildings. Was it a palace or a temple? 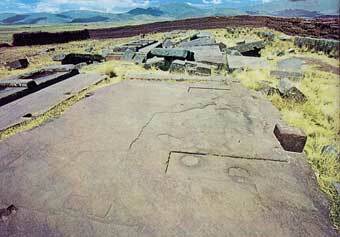 Whatever its purpose, it was massive: some stones are 26ft long and 16ft wide.